Digital camera data recovery software is easy to use application for recovery of deleted or lost photographs, images, photo rescue or digital media recovery whether files were deleted the media was corrupted or damaged. Featuring innovative recovery algorithms the software retrieves your lost images, audio and video files from all cameras including Prosumer camera, Digital video camera, Specialty camera, Novelty camera which you can't access it. The software support all major digital camera manufactures including Canon, Nikon, Toshiba, Kodak, Sony providing support to all major file formats including bmp, gif, jpeg, jpg, pct, midi and more. Digicam data recovery software is helpful in restoring all images even if the media is corrupted and you cannot access it due to memory card being pulled out while the camera was on. Download and evaluate software features and working capabilities with free trial evaluation available. 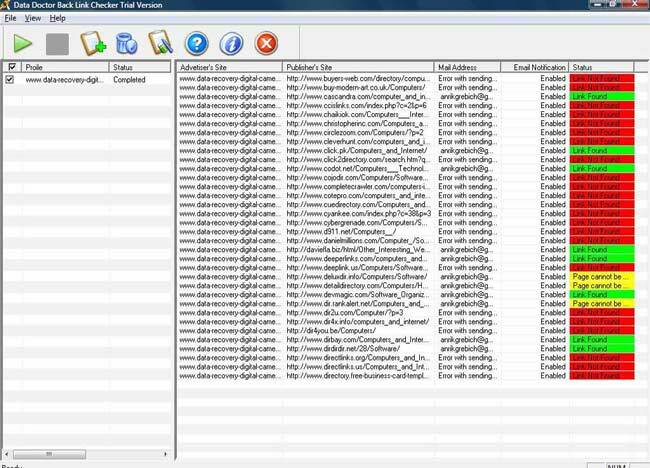 Upon satisfying we highly recommend you to purchase full version of the software. Recovers deleted digital pictures and photos saved in digital camera storage media. Restores deleted photos lost due to memory card being pulled out while the camera was on. Supports major brands like Canon, Sony, Toshiba, Kodak, Konica, Nikon etc. 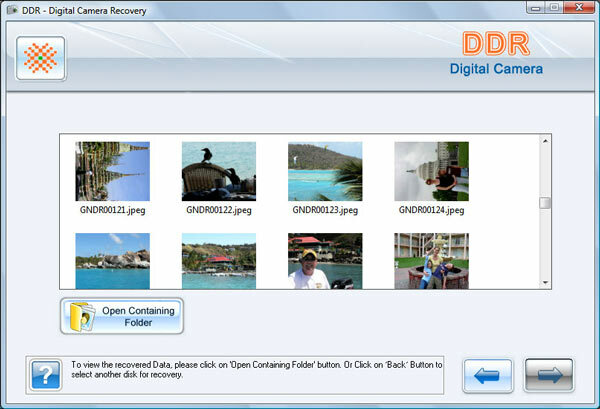 Recovers photo deleted or formatted from digital camera media cards. Ability to preview recovered images in the demo version. Makes it easy to recover lost files, images, video or music. Software is non-destructive and easy to use. Recovery process is fast, simple and a secure process. Easily operated by non-technical person.